I remember back when I was a kid, I would sit in front of the television playing video games as if it were my job. I would dream of just playing video games all day long and never needing to work a day in my life. Well, that’s the reality of many gamers these days. Who would have thought that e-sports would take off the way that it has and that there is so much money to be made from playing video games like Fortnite? 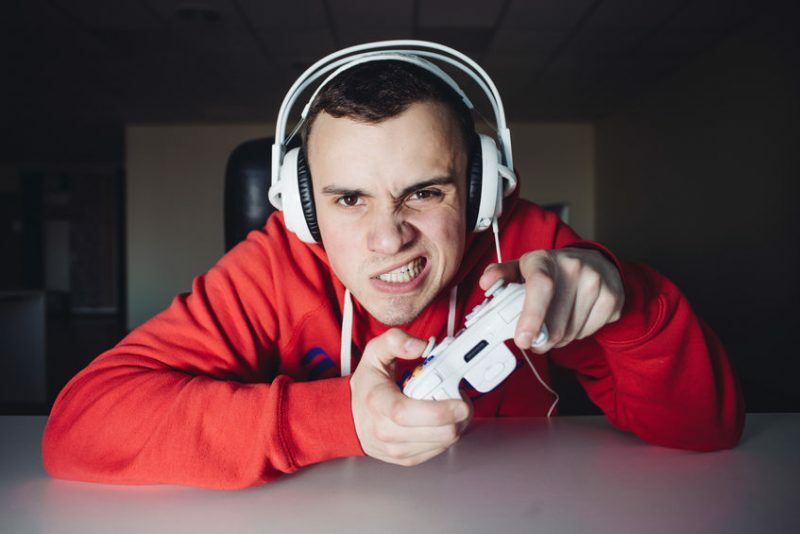 There is a dude named Tyler “Ninja” Blevins who plays video games on the Twitch platform and makes over $500,000 per month – and he’s only 26 years old. Yes, you read that correctly, half a million dollars each month for playing video games. With that being said and huge money to be made, gamers are now being targeted by the supplement industry as well as others. A soft drink (soda) company seems to be the first player in the beverage space to think outside the box and target gamers. This could be a huge play for them and one I feel could do extremely well. If you remember back in the day, Mountain Dew used to target the “extreme” demographic. They wanted the thrill-seekers, the adventurous, and those looking for a soda with a higher caffeine count compared to others on the market. Well, it appears they are back at it again and this time see value in the gaming community. Gamers are constantly stuck staring at their television or computer screens playing video games. To pull them from their game would be nearly impossible. Their house could be on fire and they’d probably still be sitting there when it burned to the ground playing their video game unphased. Mountain Dew has launched a new line of beverages aimed at gamers called Amp Game Fuel. The ingredients include things like caffeine, yerba mate extract, L-Theanine, and ginseng root. The goal is to improve gamer’s alertness and accuracy during gameplay. Each 16oz can has 90 calories as well as 90mg of caffeine (which I actually think is quite low for this type of product and that gamers tend to already be deep in the energy drink market). In addition, they made the can re-sealable which, in my opinion, is a great play. It is available in four flavors: Charged Original DEW, Charged Cherry Burst, Charged Tropical Strike, and Charged Berry Blast. Personally, I like the taste of Coke products, more specifically Coke Zero Sugar. But I need to hand it to PepsiCo for thinking outside the box yet again by targeting a new demographic to the soft drink industry. More and more supplement companies are also coming out with nootropic-type products to target gamers. Furthermore, Mountain Dew is blitzing the market by securing a deal with the Call of Duty Would League to have their beverages front and center at various e-sports events and tournaments. This is extremely smart and being first to market will give them a head start to create some distance from any other competitors who want to dabble in the space. In my opinion, this is only the beginning of what’s to come for the gaming community and industry. I have been speaking with and working with several supplement brands who are looking to launch products specifically for the gaming market to help give gamers a competitive edge and allow them to perform at a high level. Such products that will be introduced will be similar to nootropics and mental-enhancing products to improve cognition, mental focus, energy, clarity, and memory. And while Mtn Dew Amp Game Fuel will target gamers specifically, I also sense that the product will also appeal to make of the energy drink lovers out there as well who want an extra boost but not something as high in caffeine. It should be interesting to see how the sales are after the product hits shelves across the US. Are you one of the gamers out there? Would you purchase such a beverage for when you are playing video games? Let us know in the comments?